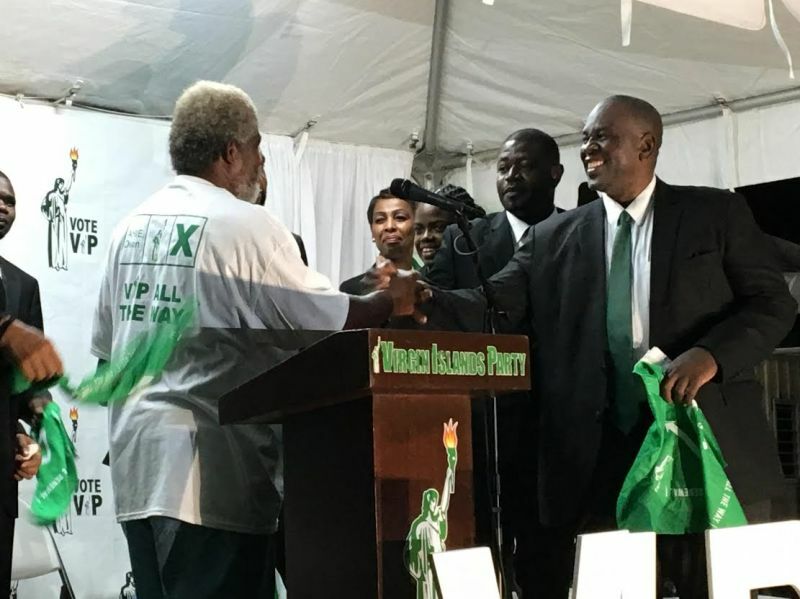 RED BAY, Tortola, VI - The earth shook last evening Thursday, February 7, 2019, when one of the founding members of the National Democratic Party (NDP) Alf-Nolan Davies aka ‘Dicky’ endorsed the Virgin Islands Party (VIP) candidate Dean B. Fahie. 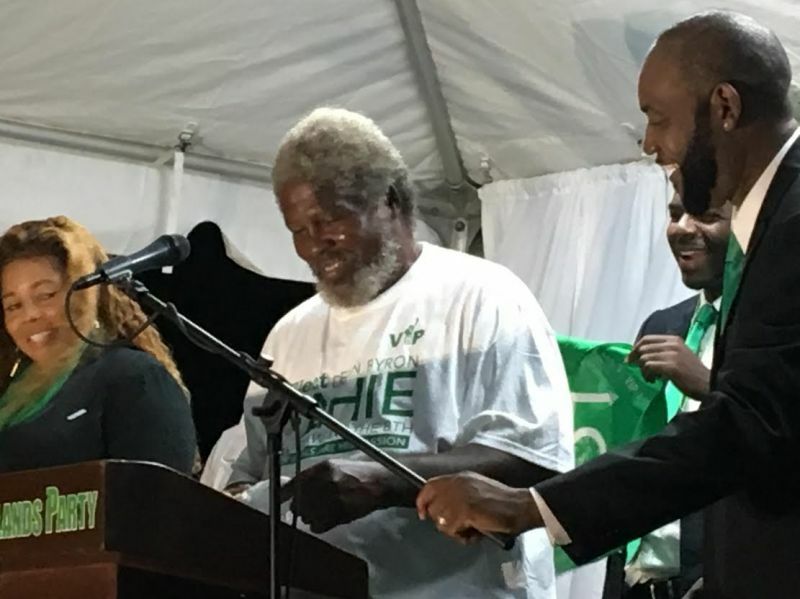 Mr Fahie is to face NDP1’s Hon Marlon A. Penn in district eight, a race where Mr Fahie is believed to be the underdog. He is a former Deputy Comptroller of Customs who launched his campaign last evening in Red Bay on the eastern end of Tortola. 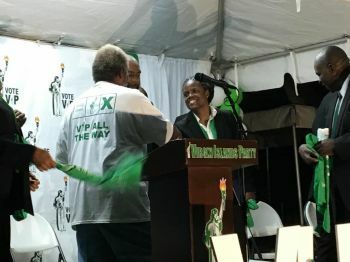 NDP continues to break up and many have believed the divisive behaviour of new Leader, Hon Myron V. Walwyn (AL) has caused this to happen. 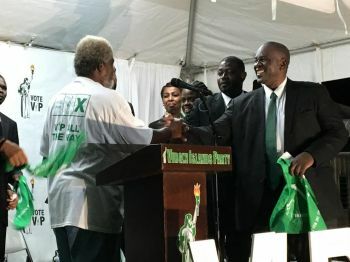 Many of the NDP founders have been chased out of the party including Hon Ronnie W. Skelton (AL), Dr the Hon Kedrick D. Pickering (R7), Hon Archibald C. Christian (AL) and many others. The NDP has been split in two with a breakaway group called the Progressives Virgin Islands Movement (PVIM). The VIP is the only party with a full slate of 13 candidates. Let's see now-Doctor Smith is not there anymore, it's Myron party now and myron was not there when he helped form the former ndp. Leave the new breed out of it! Oh please he his an opportunist. Check this out claude bashed the VIP said there were corrupt when on the NDP he get his way he join the VIP only GOD knows. Nolan a founder of the NDP he and his party fall out for years because he did not get want he want ge even ran as an independant canidate. He Nolan used to bash the same VIP calling them corrupt now he with them. It is amazing the VIP supportes call Juggy, Ronnie, Mitch, shana Judases but what is claude and nolan not the same. It is only when the shoe is fitting them they all good for it but when it is on the other foot it is no good. Marlon is Myron puppet. He and the others will find out very soon who the real Myron is. How he come founder? He wasn't there on Skelton block when NDP form. Wow you were there? If you want to know as the man that question and he will tell you how it started. Look then them blaming Myron when it's a natural thing to an don't like Island people only the woman them who think them can control the man them... But NDP shall surely come home.... who don't like it lie down beside it... Andrew crying fowl over the voters list but if he check and see where these people transferring from and the last name and which candidate they have ties to... as the record show the amount of district 2 registered voters now register in the?